Inspired by Terrazzo and Memphis Design, this playful collection pairs bright, bold colors with a fun mix of patterns and texture. 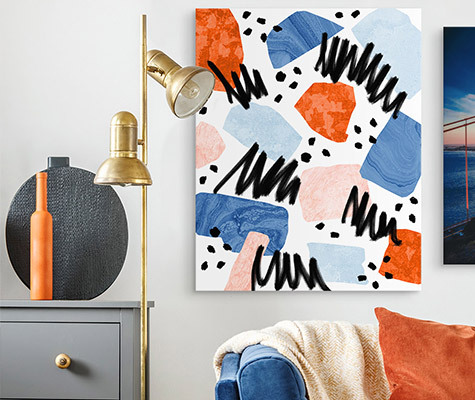 Brighten any space with these delightful pieces of unique and modern art! Stylish and delightful, the Terrazzo collection highlights pieces with an emphasis on movement and motivation with colors that pop! Available in a variety of options, find the perfect fit for your space.